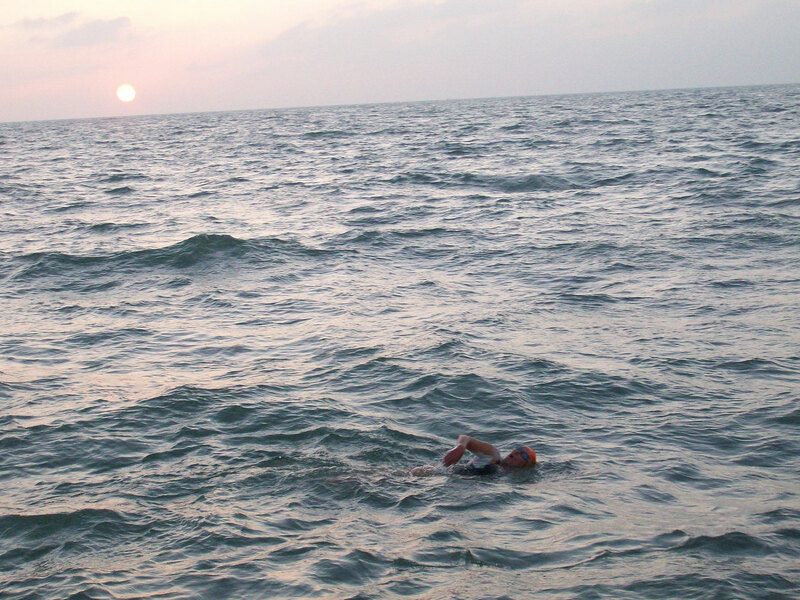 Here I am going to add helpful items regarding Channel Swimming – regarding training, preparation and the big day – by experienced Channel swimmers or pilots. Very useful instructions for the big day! 2. Helpful Channel Swimmers Checklist (2005) by Julian Crichtlow – from Nick Adams website www.channelswimmers.com. What is missing is mouthwash (recommended by many) and a few more bottles. Also glow in the dark rope can be helpful or a blinker/light attached to night feeding bottles. MOST important: passports! Also, seasickness pills are best tested in advance for drowsiness, and should be taken a few hours before the swim – by everyone, swimmer and crew! During our relay everyone who had not taken any pills got seasick – especially those how swore they would never get seasick! In 2010 I was lucky to find a jug like the one Jane was showing us last minute at Varne Ridge in the left-over box. It was the best feeding bottle I ever had! The lid can be screwed tight, and the spout is big enough and opens easily – but small enough so seawater does not get in. For our rope we used a bigger roll – just make sure the rope does not entangle too easily. Be sure the rope is long enough (ca. 10 m), you may be drifting away with your bottle fast, especially if you swim on a spring tide!